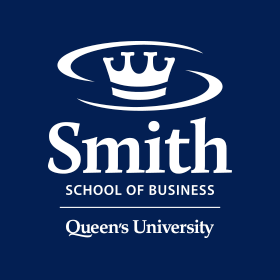 Kingston, ON - June 1, 2015 – Queen’s School of Business management science and operations management professor Anton Ovchinnikov was recognized for advancing the study of sustainable operations at the annual Production and Operations Management (POM) society conference. Professor Ovchinnikov was unanimously selected by a committee of his peers to receive the prestigious Paul Kleindorfer Award in Sustainability from this international organization of POM professionals from around the world. 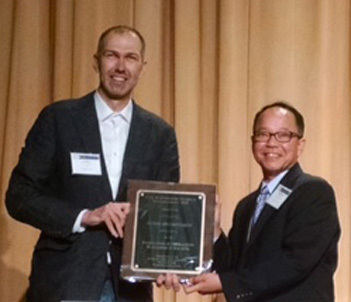 Kleindorfer Award committee chair and UCLA Anderson School professor Christopher Tang said during the ceremony that Professor Ovchinnikov was chosen for his innovative work in the area of sustainability and his ability to weave his passion for sustainability into his teaching. Professor Ovchinnikov was also lauded for his commitment to the Production and Operations Management Society. The award was presented at the 26th annual POMS conference in Washington, DC, in May 2015. Anton’s research has contributed to two areas of sustainable operations. The first focuses on government incentives for the adoption of green technologies, such as the use of subsidies and rebates to motivate the adoption of pollution-reducing technologies. The second concentrates on the economic and environmental assessment of remanufacturing—the rebuilding of products to original specifications using reused, repaired and new parts. In these latter studies, Anton explored strategies for organizations to manage revenue and cost management from a behavioral point of view. His research and insights have been published in both academic and management journals. Anton has also contributed his thought leadership in sustainability to several articles and case studies for managers and business students. His case “c-Energy’s Red Hill Plant” on the decision to install a scrubber at an old coal-fired power plant has sold thousands of copies to business educators worldwide. Another case, “Wells Fargo: Solar Energy for Los Angeles Branches” draws on his extensive work with the bank to examine the installation of solar panels on the roofs of Wells Fargo’s branches and the impact of uncertainty regarding government regulation on this decision. His research into subsidies in the electric vehicle industry was reported in a co-authored piece in the Washington Post, “Tweaking Incentives Could Aid the Adoption of Electric Vehicles,” and also formed the basis of his teaching case on Chevy Volt. The Paul Kleindorfer Award was established by POMS in 2011 to recognize young scholars who have distinguished themselves through the breadth and innovativeness of their scholarly work on questions related to sustainable operations and the social and environmental impact of business.